Many business owners have dealt with the situation of an ex-employee who still has keys to their facility after they no longer work for the company. When an employee refuses or will not return keys, you can find yourself in a tough situation. 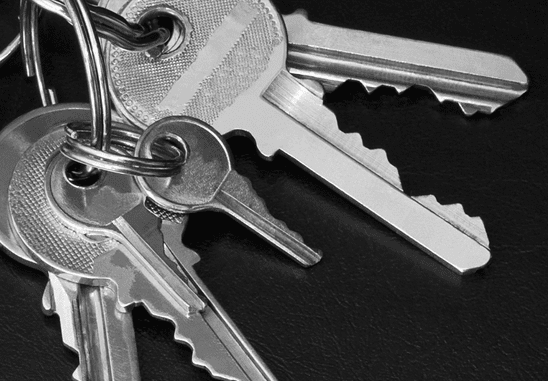 Some businesses cannot afford to wait days or weeks for lost or stolen keys. Ultimately the company has to change the locks when they can’t account for all the copies of keys in circulation. The best long-term solution for businesses is to upgrade from physical key locks and install a modern access control system. Access control systems provide secure and safe access to commercial buildings, offices, and industrial spaces without the need for traditional metal keys. Access control also offers detailed analytics of individuals coming and going. Your business will be more secure and you will have customizable security options for all employees, which may be updated or revoked immediately. A Safe Systems business security expert can help make sure your access control system meets all your needs. After installation, our technicians ensure the equipment is in optimal working condition with periodic service and inspection.